Tori was 1st runner-up at the 2013 Miss Teen USA Pageant. As they were calling off the names of the runner-ups, Tori had an odd sense of calmness. She kept thinking, “Please don't call my name!” Tori was taking to Cassidy Wolf (now, Miss Teen USA) as they were the last two standing on stage. Tori then she hears the emcee say, “South Carolina”. For a split second, Tori thought she had just been called as Miss Teen USA…. She then heard “California” and realized that it was Cassidy who had won. Tori thought, “oh my goodness, I need to get out of her way!” She felt she may had taken a moment of Cassidy’s spotlight away from her and she didn't want that. her fear of singing. She always said she wasn't going to compete in pageants, but learned so much that she wanted to keep competing. Competing gave her a new goal and something else to focus on besides academics. Tori went into the state competition as if she were competing for the national title. She had almost 10 months to prepare for Miss Teen USA after winning the Miss Teen South Carolina USA crown. Tori wanted to be completely prepared for the national pageant and not have to rush at the last moment. She took time off her regular fitness schedule during the holidays, but wanted to make sure she was staying true to herself. She did a lot of speaking engagements to prepare her for interview, took part in community service events and changed the way she ate. 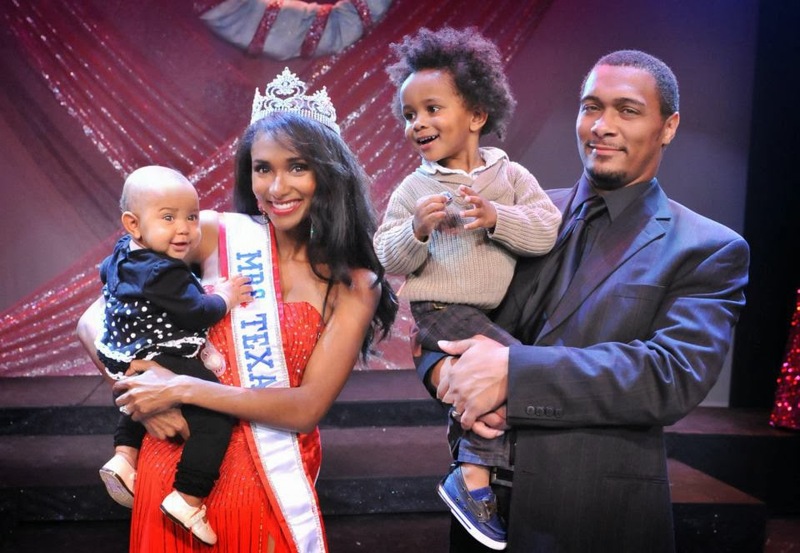 Tori wanted it to be a way of living and not just preparation for the pageant. Tori's most memorable part of her year was her Princess for a Day event. A group of older foster care girls got their hair and makeup done, had a photo shoot and were given a day that was all about them. Many of the girls told her they never thought they could be so beautiful nor had they ever been given so much attention. It touched Tori because she worked very hard to put it together. Tori hopes to hold another Princess for a Day celebration soon in a different part of the state. Tori’s platform is foster care and adoption awareness. She competed in a 5K and attended a conference in South Carolina where 81 families became foster parents. She has been bringing awareness to foster care and encouraging others to become involved. Will Tori compete for the Miss South Carolina USA title? Tori has been asked many times if she will go on to compete for Miss South Carolina USA or Miss South Carolina America. She is looking forward to taking a few years off to find out more about herself and to attend college. She is not going to make any decisions at this time on future pageant plans. She is definitely a girl we will be keeping an eye on in the future. Tori's advice is to give it all you got! You are representing so many people and there are a lot of girls who would love to be in your shoes. Tori went off the mentality that there are probably a lot of other girls working harder. This is a competition on who can present their best self. Think about what you can do can improve, but don’t lose who you are. Tori hated public speaking and working out but recommends finding areas to improve upon. Focus on the skills that will help you through life and not just as a competitor because you are only a titleholder for one year. Work on improving your best true self. Austen started modeling and acting when she was 4. She booked her first national television commercial when she was 7. She has done work for Abercrombie & Fitch, Best Buy, Vibe Magazine, Prevention Magazine, as well as in Fitness videos, films, and television. 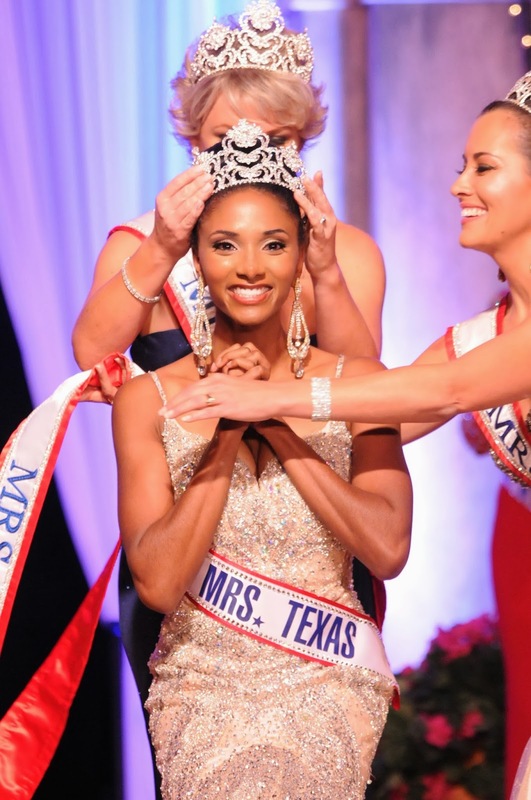 How did you capture the title of Mrs. America? Austen was just herself ~ a real woman. She wasn't trying to be someone she’s not! She is a mom so she doesn’t have time to do some of the luxury things in life because she is so busy chasing around a 16 month old and a three year old. She just wants to be who God made her to be. Austen competed in the Miss USA and Miss America systems. This was her first Mrs. Pageant. Not all pageant girls are nice but she was surprised to learn just how sweet the Mrs. Pageant contestants at Mrs. America were. She loved her roommate! Her roommate was Mrs. Virginia, Erin Brown, who Austin thinks is a complete rock star! If you're friends with Austen on Facebook you can see the videos from Mrs. America. They had parties in their room where they were dancing on the bed while pretending to sing (to the readers; Girls Just Gotta Have Fun). Austen really enjoyed learning all about the ladies at Mrs. America. She felt so fortunate to have been able to compete with them because they were so supportive and kind. The interview was round-robin style. Austen really enjoyed the judges and had great conversations with them. Austin feels sometimes ladies think the judges want to hear the "correct answer", when all they really want is to hear YOUR opinion. They want to see you and get to know the real you. Have conversations with people and take the time to get to know them. Try to really figure out who they are. Austen stated it is better to be interested than interesting. Mrs. America is a pageant where you have to be able to interview well because 50% of your score comes from interview. You really need to know how to talk to people so they can get to know the real you. Human Trafficking is happening here and now. As a performer, Austen has been able to promote her platform through a film called, “8 Days”. She played a role in the film which wrapped up about two weeks before she left for Mrs. America. The film is a true story about a girl from Texas who was kidnapped and put into human trafficking and found 8 days later. People have an assumption that human trafficking only happens to low-income, or uneducated people. The reality of it is that human trafficking is not just hitting one area or demographic, it is all across the board. You can be any race, most often, it is white and Asian women/girls who are being sold. As of now, human trafficking is the #2 grossing crime in the WORLD! Second only to drugs. It is projected to surpass drugs in the next five years! Austen's number one goal as Mrs. America is to promote awareness for Human Trafficking. Austen stated she is a simple girl and she wants simple things. Her heart breaks for the young girls who have been sold into trafficking. As a mother, it is heart wrenching for her to think about it. Her goal is to serve her community, her family and her God. In May, Austen will be travel to the Mrs. World Pageant. So, how does she get ready to compete at Mrs. World? As a mom with small children, she doesn’t always have time to go to the gym. She puts her baby in a baby backpack and does lunges. When she is doing the dishes, she does squats and lunges. Her workout routine has to do with entertaining her children and cleaning her house. After she had her second baby she wanted something to do to get back into shape. She thought swimsuit competition would help her accomplish that. Her clothes fit but everything was mushy. So, she started to tone up at home and at the Mrs. Texas America Pageant she won the fitness award! Did you know that Austen is a photographer? Follow Austen on Twitter @Austenwill and on Facebook at Austen Williams. 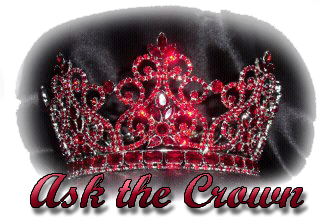 Brita Jackson, owner of Arquette & Associates Modeling Agency, took time to talk with Ask the Crown’s Stephanie McGrane about how pageant ladies can cross over into the modeling world. Brita was saying how in modeling you need to be less strict with yourself, where in pageantry, ladies tend to be more “boxy”. An example would be: in pageantry you have to have the correct answer and be primped, where in the modeling world you can be a bit more free. You still have to take care of your body and stay healthy. However, in modeling they want to see more of your personality and your free hippy, gypsy girl and see how you can just go with the flow. When pageant girls come into the agency, what positive things does Brita see in them? Pageant ladies have confidence, and to model you have to have confidence, love who you are and believe in something other than yourself. The modeling world is so harsh in many different ways that you have to have that confidence. Arquette & Associates Modeling Agency has been around since 2000. Brita came to the company a few years later and spent four years as a director and then in 2009 she bought the company. Arquette and Associates is known for their print work. They have on-camera, fit and promotional modeling, but mostly they are known for their print. Some of the clients that Aquette & Associate models work for include; 17 Magazine, JC Penny’s, Sears, Target, Hot Topic, and so many others. There are many different types of agencies out there. You have your local modeling agencies that deal with local work but when you start to become more of a professional model there are catalog/commercial agencies and also fashion/editorial agencies. When you look at the different markets, there are your big markets such as New York, Paris and Milan, and then there are the smaller markets, such as Philadelphia, Seattle, and Minneapolis. What happens when girls come to Arquette & Associates? Do they place them in the bigger markets? Arquette & Associates is a mother agency and they will spend the first year developing you, getting you ready and setting up meetings with clients. After that, they can place you. Arquette & Associates have placed people in Asia, Europe, New York, LA and Miami. Depending on the type of model you are, you can move from market to market. What about those modeling agencies that try to sell you classes? Is that just a money maker or do you need to take classes to be a model? Brita said you do not need to take the classes to be a model. She has seen girls out there who have paid anywhere from $10,000-$12,000 to take classes or go to conventions. The agencies that are selling classes… that is how they make their money. For Arquette & Associates, they make their money by your bookings and your placements. If you are going to an agency that does not offer classes, it is their job to develop you. They should be teaching you how to move, how to walk, how to put on your make-up, etc. Will an agency charge any type of startup fee? Every big agency in the large markets will have a setup fee. You will have to buy your portfolio, comp cards and photo shoots. Photo shoots aren’t free. They may be in some states, but chances are those shoots are not good. The quality of a good photo shoot is really important. The clients call it a test shoot, and those test shoots will go into your book and if they are the best of your worst photos, that is what they book off of. You don’t want to shoot with a free photographer, a cheap photographer, or the wrong photographer. Startup fees are an investment, but that investment is so important for your career so that you can move up. Should people have photos done before they apply to an agency or is it better to just wait until you meet with the agency? You need to wait. You don’t know the market or the type of model you are yet. You can take snapshots, Polaroids, or digital photos. Take pictures with no make-up and natural hair while wearing a swimsuit. Take full body pictures from your midriff to your face, smiling and not smiling. You also need to take pictures with your hair down and with your hair pulled back. Then submit them to the agency. You also need to submit your measurements; bust, waist and hip, along with your height and weight. Have someone else take the measurements. For your bust, you can use your bra size. Your waist is actually around the belly button and your hips are the biggest part of your bum. After all your photos and measurements are turned in, it is a waiting game. If you do not hear back from the agency, it is a no. When you send your information around to different agencies you have to remember that some agencies are fashion, some are editorial, and some are print. You may not have the face or height for one agency. Don’t stop at one, move on to others. What should you bring with you the first time you meet with an agency? If you are brand new, you won’t need to have a portfolio or professional photos. Do not go out and get senior pictures or glamour photos. It is not worth your money. Save your money because you will need a really good photo shoot with your portfolio. Come to the meeting in fitted clothing, wear skinny jeans and a tank top, or just fitted jeans and a t-shirt if you are a plus size. Be sure to wear heels. Again, no makeup, natural hair, make it look nice, not like you just came out of bed, no jewelry, and take your cell phone out of your pocket. Bring a two piece swimsuit just in case they want to see you in a two piece. Should you be ready to walk the runway? Some agencies will have you walk, some will interview, and some will take your measurements to be sure they are correct. Some will take snap shots and digital photos of you. Can anyone be a model? In New York they will say no, not anyone can be a model. You really need to be clear on what type of modeling you are thinking of. If you are under 5’9”, it is hard to get into the big agencies. The models who are shorter can do print modeling. You also need to learn how to act to be a product model. Product print is not for magazines or clothing stores. Agencies who do product print want real people, like the girl next door, who customers can relate to. If you are really serious about modeling should you travel to a different market area? Traveling is a big ordeal. You need to be willing to travel. Most of the time you need to be located or working in the city you are trying to model in. For product print models, you can be any age; you are never too young or too old. You need to know your market and find the agency who have the clients that are looking for all ages. 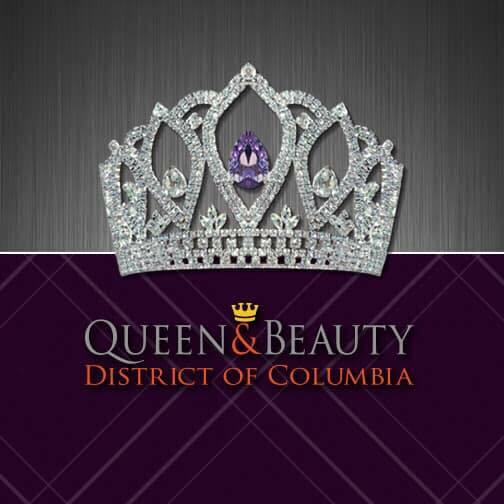 PageantLive is very excited to be working with Arquette & Associates Modeling Agency. 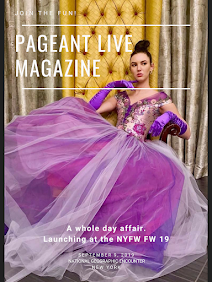 They will be helping to select the new Face of PageantLive. The new winner will receive a one year contract along with training and development. They will also be providing a portfolio and comp cards. They will also be submitting the winner for casting and bookings. If you would like more information, visit www.Arquettetalents.com. Click on submission.